Barefoot Masters® developed this course to give your hands a break from deep tissue massage. Face Massage is great as an add-on treatment or incorporate into your regular hour massage. This CEU massage course will take you through the anatomy of the face and techniques to massage the muscles that will bring a smile to your client’s squeaky clean faces. Finish with a T/F and Multiple choice tests. Then download and print your certificate. This is an online course. To purchase add to cart and wait for 24 hrs for an email with instructions. Want it now! On the homepage Login and create a new account and purchase directly from the Catalog. This will give you immediate access. 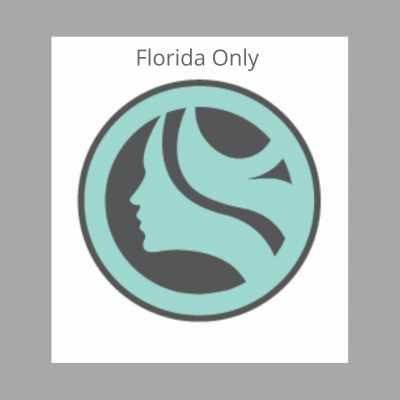 We report massage CEU’s to states that require it, like FL, LA, and NY. Bamboossage Facial Massage Training Online is an 8 CE (continuing education) hours certification training course for massage therapists. Estheticians can take it too, but Ce’s are only for massage therapists. 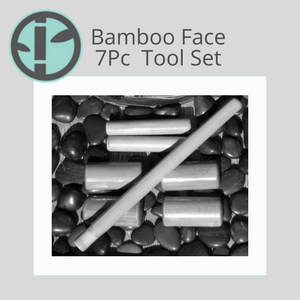 Bamboossage® 7 Pc Facial toolset can be purchased separately or with some of the courses below. Most massage therapists are required to have continuing education hours either by their state or by an organization that provides insurance. Check our State Requirements on our website. 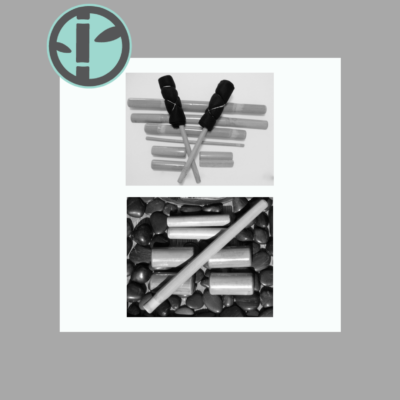 Our courses are AMTA and ABMP approved as well as NCBTMB (National Certification Board of Therapeutic Massage and Bodyworkers) Provider # 403532-00. This course is also approved for the state of New York Massage Therapists. Bamboossage Facial Massage Training Online is an 8 CE (continuing education) hours online certification training course for massage therapists. Estheticians can take it too, but Ce’s are only for massage therapists. Use warm tools to do all the work for you and give your hands a break. It’s time to treat yourself as well as your clients. Clients love the warmth of tools and will leave with a smile on their face. 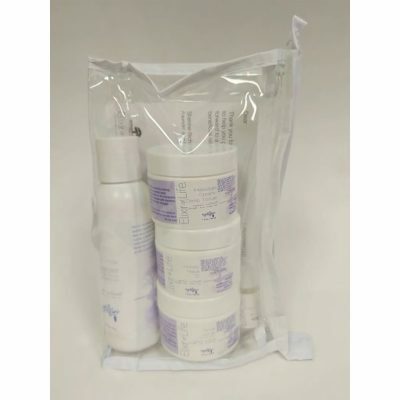 The tools fit comfortably in the hands and massage the muscles of the face. Tools slide effortlessly around the face, lulling the client into a deeply relaxed state. 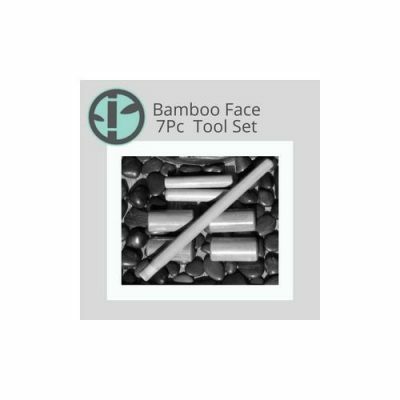 This Bamboo Face Massage Online course is unique and will set you apart from the other Ho-Hum Sets and Routines available. 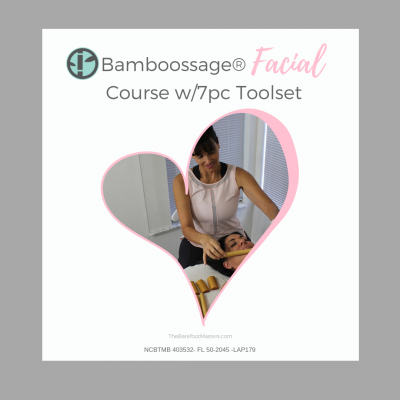 Bamboo Face Massage Online is a self-paced home study online course is available 24/7 step by step program with instructor Michelle D. Mace-Lambert. 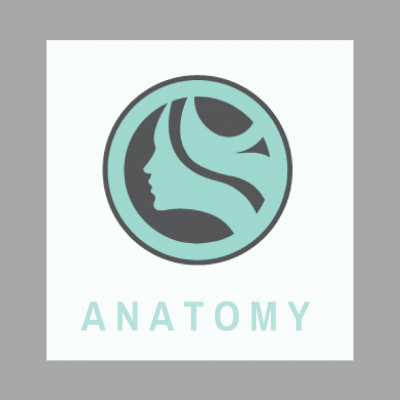 The online course training includes hand out and digital video that covers the anatomy of the face. A digital video shows the entire routine and has audio and visual instruction. Bamboossage Facial Massage Training is an easy course to follow. There are assignments and a log sheet, followed by a True-False and Multiple Choice Test at the end. Then complete the evaluation. *Upon completion, a printable certificate is awarded immediately. 123 Facial Massage 8 CE Facial course that will give you an extensive facial massage routine that you can have as an add-on or incorporate into your massage routine. In 24 hours you will receive an email with a link to access the course. You will need to create a new account to get your username and login and then proceed to the course.